One Hundred spokes add some flash and some authentic style to this project. As they say in the sales brochure, wire wheels add classic sports-car verve. 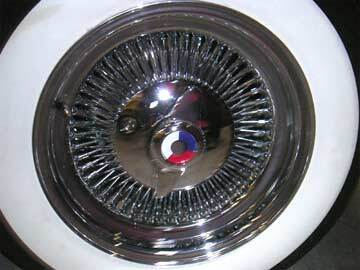 In 1955, Buick offered 40-spoke wheels as an option. We use 100 spokes on this car to account for the extra 200 horsepower over the stock '55. Back then, there were not a lot of people doing burnouts with a Dynaflow transmission.